Africa’s representatives at the ongoing World Men’s Handball Championship, Egypt, Tunisia and Angola, have had not so encouraging starts since the tournament began in Denmark and Germany on January 10, with mixed fortunes trailing their opening games, according to reports from ACLSports. Tunisia, who find themselves in Group C with co-host Denmark, Norway, Austria, Chile and Saudi Arabia, are currently stuck in 5th position after losing their first two games: to Norway and to Denmark by 24-34 and 36-22 respectively. The Carthage Eagles face Chile on Monday and Saudi Arabia on Tuesday with only the first three teams of each group progress to the Main Round. Angola and Egypt feature in Group D alongside Sweden, Hungary, Argentina and Qatar. Angola take second place in the group with 2 points after their win against Qatar by 24-23, their first and only match played so far. They clash with Hungary on Sunday for their second fixture. Egypt, on the other hand, lost to Sweden by 24-27 and lost 28-23 against Qatar in their second game to remain at the bottom of the group. Tunisia reached the semi-finals of the 2005 edition which they hosted while Egypt made that feat in 2001. Angola are hoping for a better campaign than in the 2017 edition where they lost all five group matches, conceding 191 goals, the worst record at the tournament. 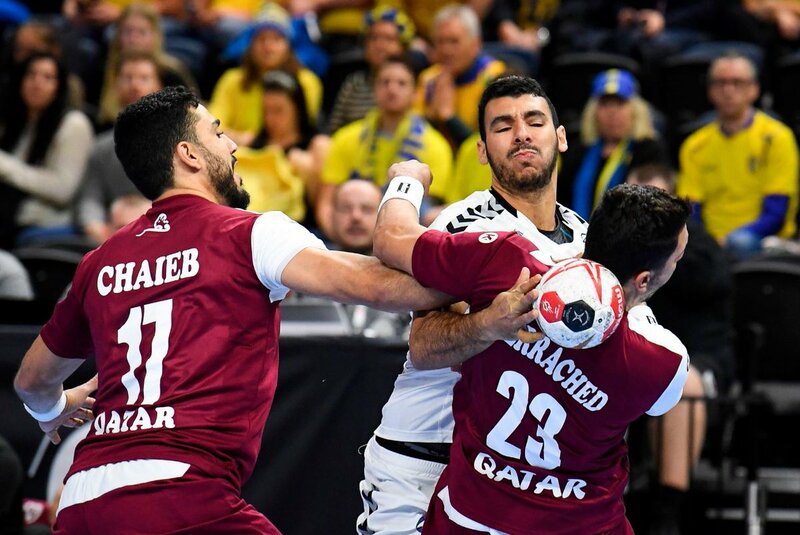 The 2019 World Men’s Handball Championship comes to a close on January 27.